Blechexpo takes place with a new sizes! 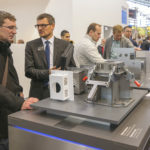 Blechexpo – the international trade fair for the sheet metal working – confirms what it already let us forebode at the end of the last edition: for the first time, in november of the current year it will take up all the halls of the exhibition fairgrounds in stuttgart and therefore it will be bigger than ever! 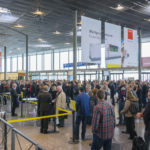 While in 2015 Blechexpo could count 1,234 exhibitors from 36 Countries and a gross exhibition surface of 90,000 m², in 2017 it will exceed 1,300 exhibitors from about 40 nations and will cover 105,000 m² (area: +15%). 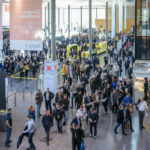 If we add the internationality rise, Blechexpo consolidates its ranking of second international trade fair but it is the first in the year when it is held! 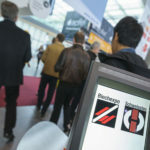 Together with Schweisstec – International trade fair for joining technology – if offers a complete and competent survey of the process chain of sheet metal, pipe section and profile working. Along with pipes and profiles, sheet metal has evolved into a more and more important construction material, to the extent of representing today a valid alternative to cast iron, steel and plastic materials. The world of vehicle, machinery and equipment manufacturing does not use any longer massive welded steel constructions or plastic parts that integrate several functions and are therefore very expensive, but it prefers modular, lightweight and FEM-optimized components. 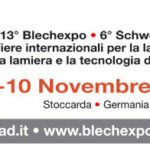 Blechexpo’s nomenclature includes all useful products and services (sheet metal processing machines, cutting and forming technology, pipe and profile processing technology, joining and fastening solutions and semi-finished products) for the economic sheet metal, pipe and profile processing, and thus it serves as a guideline for practical stand-alone and system solutions. 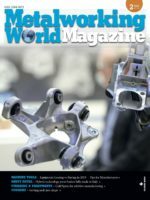 In a world where Industry 4.0 is an increasingly popular topic, companies operating in the sheet metal, pipe and profile processing and their suppliers easily comply with it, since computerized technologies have been a reality in this sector for a long time and find broad applications, from CAD/CAM used in each working phase to the data transfer, from programming to the quality assurance. The same applies for the automated handling of raw materials and finished parts, for automated storage systems, the machine loading according to the acquired orders, the handling of blanks at presses and the positioning of welding robots in production in flexible quantities. The new hall layout allows optimizing the occupancy structure according to the specific fields of technology. In the halls 1, 3 and 5 are on show machines, tools and peripherals for the sheet metal working. Halls 7 and 9 are dedicated to the complex blanking issue. The hall 4 is focused on the pipe and profile processing and the hall 8 on presses. The hall 6 hosts instead Schweisstec with the joining technology. This results in a higher orientation to the process chain, which represents a notable added-value for both exhibitors and visitors and gives rise, for instance, to targeted technological presentations and to an approach among single technologies: cutting and forming, surface levelling and cleaning treatments, assembling and joining. 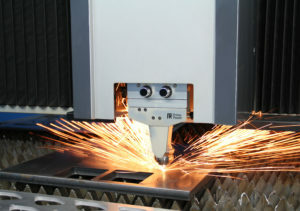 Concerning this, the synergy with Schweisstec becomes particularly strong, as the latter deals with the thermal and mechanical techniques and processes for joining, assembling and welding, and therefore it perfectly completes the process chain that ranges from the production of sheet metal parts, pipes and profiles up to the implementation of components and equipment. The subdivision according to key issues is a further advantage for visitors, who can then concentrate on the sectors of their interest in targeted and rational manner to decide purchases and investments. 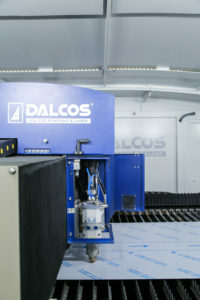 The new-born DALCOS LXN 1500 is the latest update in laser cutting field. The system has a larger working area that makes the production more efficient, fast and flexible. LXN 1500, like all Dalcos laser systems, is equipped with the Dalcos vision system increasing the precision and flexibility of the production. Dallan exclusive vision system Laservision received the official patent certification the last June and uses a high-resolution camera that identifies both the strip/panel edges and the pre-cut holes. The way it works is extremely simple for the operator and the algorithm developed by Dallan software engineers takes care of the measuring and calibrating. The modular eT-Hover-allround is a compact, versatile tool, the base unit of which can be converted individually and flexibly to fulfil a wide range of handling tasks. This true multi-talent allows horizontal and vertical lifting, pivoting and rotating through 360°, as well as combinations of these movements. Vacuum-sealed loads such as metal sheets, glass panes or plastic or wood panels can be handled in many different ways. Depending on the vacuum components and vacuum generators used, these lifting devices can handle loads weighing up to 500 kg. The eT-Hover-allround is equipped with four suction cups that can be moved along the cross beams. Additional suction cups can be added depending on the task at hand. Their size and order is based on the type and size of the objects to be handled. The expandable, ergonomically designed control panel combines all necessary functions: suction, aeration, crane up/down, turning and pivoting. The control unit is equipped with a blow-off function to ensure safe detachment of the load. The eT-Hover-allround is fitted with a 2-circuit system and is also available as a battery-powered device suitable for construction sites. 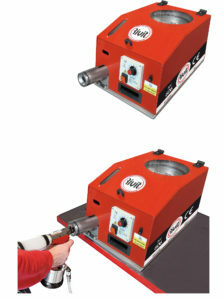 Accuracy, speed and high performance of bending (both in pre-bending and bending) make the 3RHT a unique machine, especially when working thick materials. Mate patent pending QCT insert style punching system is now available in metric (long stem) versions for thick turret A and B stations. The QCT system is simple and intuitive to setup. Simply flip the durable latch to remove and snap the new insert into place. Original Style QCT is fully compatible with Mate’s Ultra® family of guides and canisters, and Mate’s Original Style guides, spring packs and Rapidset™ canisters. 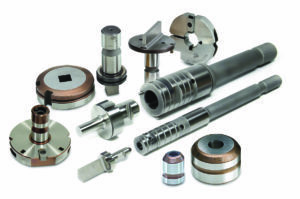 These punches are fully interchangeable with Amada NCT, NEX and Z-Tooling systems, as well as Wilson Thick Turret Metric punches. Mate QCT punch inserts are made from M4PM™ tool steel, durable and lasting tool steel. Punch drivers are coated with SuperMax™, Mate’s next generation coating to minimize wear and preserve fits. 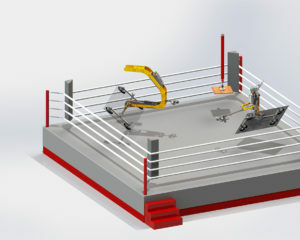 Another nice feature – only one punch driver is needed for rounds or shapes. Mate’s Thick Turret A and B station dies have superior performance and longevity with the new optional MPM82 tool steel. Designed for use in high performance tooling applications, Mate’s MPM82 is a high speed, particle metallurgy steel designed to provide high value and exceptional versatility. 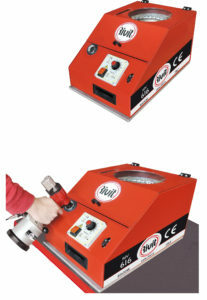 Ideal for the most demanding punching applications providing higher quality parts and lower cost. Also see Mate’s broad line of Trumpf style tooling in Original Style, Quicklock™ and Next™ versions designed for every fabrication application. 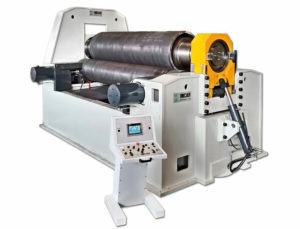 ROLL units are devices that allow simultaneous calibration and bending of metal sheet or steel. In comparison with standard punch/matrix solutions, operators can extraordinarily reduce both the number of progressive die steps and the tonnage requested for bending. Many kinds of bending can be produced with these rotary benders, such as undersquare folds (with an angulation less than 90°), open folds (greater than 90°) and with large radius, always maintaining the requested tolerance. Also performs «Z» open folds, doublefold ecc. The system consists of a rotating previously shaped according to required applications. The product is built with very strong materials, wear and compression resistant, hardened and surface treated in order to considerably reduce friction. According to different fixing system, three different models can be chosen: each model can vary depending on the type of material, thickness, geometry, bending radius and length. 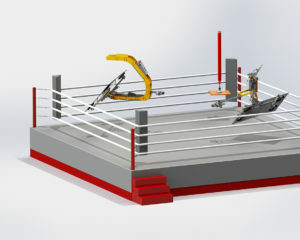 Since several applications are to be found, NewStark decided to provide its customers with tailor-made products. The final user, after having elaborated the 3D file with NewStark technical office, confirm it, allowing the production team to start the project. This Omt die is a combined progressive-transfer tool, that simultaneously produces 2 pieces for automotive industry (RH piece and 1 LH piece). Starting from coil width 510 mm, the die performs the first 10 steps with progressive die: 3 steps for blank cutting, 1 step for forming of recesses, 1 step for hole cutting, 5 steps for piece bending. The last step, made with transfer system, performs the final closure of the piece. The evacuation of the pieces is made laterally in the die, using specific pneumatic cylinders. The extracted pieces end up on conveyor belts, that carry the pieces directly to the mounting line. The dimensions of the die are 3500x1500xH750mm. The production of the piece is done on transfer press 1200 Ton. 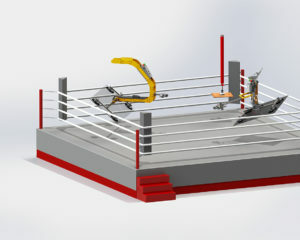 The project of the die has been made with CAD 3D supported by dedicated application for the development of sheet metal. Bending punches and matrixes are made with Toolox 33 with relative coatings, cutting punches and matrixes are made with hardened 1.2379. All structures are made with 1.0503. The progressive die and the transfer die are installed on a single upper and lower union plate for the fixing of the die on the press with the help of fast clampings. All the parts that build the die are made with machining centers and cutting edge EDM facilities, supported by CAM 3D programming. The samples produced with the die have been controlled and measured with 3D measuring machine. The die has been delivered to the customer already tried out and ready for series production.